Turkey – getting into the Christmas spririt? In Christian-oriented countries, Christmas is one of the most important religious holidays. The shops are shut and you spend time together with your family under the Christmas tree. Christmas is neither celebrated in Turkey nor is it a bank holiday, it is simply a normal working day. The small Christian communities form an exception. The birth of Jesus is not celebrated in Turkey as it is in Germany or in other Christian-oriented countries. In Turkey, Jesus is only one prophet among many and is not given more attention than others. However, popular tourist destinations in particular are attuned to holidaymakers in a Christmas mood. The hotels put up Christmas decorations and decorations even appear in the shop windows. Some customs such as Christmas trees or presents have in the meantime been adopted by many Turks. However, people do not put up decorations for Christmas but instead for New Year’s. 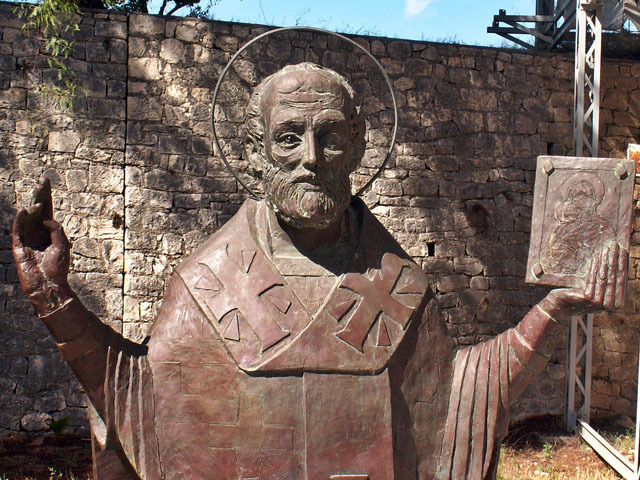 Noel Baba, Saint Nicholas from Myra, is considered by the more worldly Turks as a symbol for giving each other presents at the turn of the year. Even the department store Santa has managed to reach Turkey. Especially in large towns, employees at large departments stores dress up as Noel Baba and distribute sweets to children. Do you now feel like enjoying Christmas or New Year’s in Turkey? Or will you be celebrating in Greece or maybe in Sweden? Tell us about your best Christmas experiences and send us photos. We would love to publish your highlights.